Get out your golf clubs! 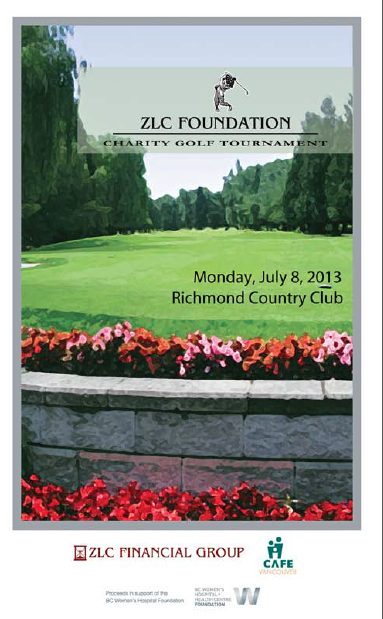 Murphy Battista is happy to announce that we are helping to sponsor the 28th annual ZLC Foundation Charity Golf Tournament, which will be taking place on Monday July 8th at Richmond Country Club. Over its 28-year history, the tournament has raised over $917,000 for various beneficiaries including Kids Up Front, The Heart & Stroke Foundation of BC and the Yukon, and the Juvenile Diabetes Research Foundation. Presented by ZLC Financial Group in partnership with Café Vancouver and other local sponsors and volunteers, the Charity tournament is also one of the premier golf events of the season. This year’s proceeds will be benefiting BC Women’s Hospital Foundation with the specific goal of raising funds for their Newborn Intensive Care Unit. The 60-bed unit is the largest, most advanced, and specialized newborn critical care facility in BC and provides support to mothers facing high-risk pregnancies and births and infants in need of life-saving intensive care. The format for this year’s event will consist of teams of four players. Each player will play their own ball with the best net scores on each hole counting towards the team score. All players will be provided with a shared power cart and a dinner will follow the tournament. We’re more than happy to help sponsor this event, which expertly combines the pleasure of playing 18 holes with the goodwill of supporting a worthy cause.